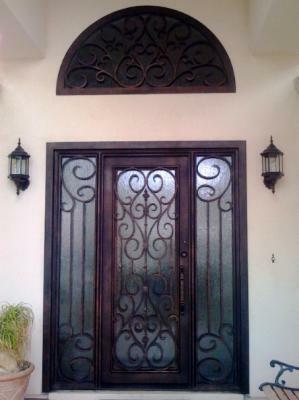 You can’t go wrong getting your decorative iron products from Signature Iron Doors. Featured here are some doors we’ve built for customers in East Mesa Arizona. No matter the style you seek, we can provide it for you, whether it be one of our countless design options, like these Milan style doors, or whether we customize your own design. Our belief is that quality is in the detail and thus we spare no expense in making sure every detail is made to perfection. Every piece is hand forged by licensed welders and given a timeless finish. 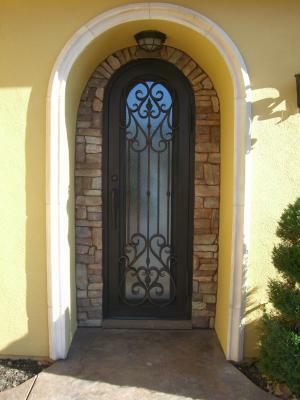 Signature Iron Doors began business in Phoenix Arizona and has quickly taken the lead in the iron work industry. Now a globally acknowledged business, we are still heavily involved with the Phoenix valley. New build or remodel, Signature Iron Doors has technicians well-seasoned in all steps of the iron work production from getting precise measurements to installing the perfect fit for your home. Call us and come by our showroom in Phoenix Arizona to find out your iron door possibilities.